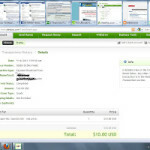 Check out all these & take action if you will to set such of this for any of these your online merchant accounts! ! ! 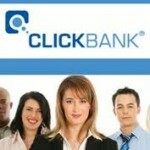 If you want to add the ClickBank payment option to your affiliate link – so that you can get $10 or $37 payments via ClickBank – you MUST HAVE an existing ClickBank VENDOR account. This allows you to simply add the items below without going through the approval process and needing a sales page for the items. Vendors refer to the people who have digital products that they are selling or wish to sell. A person can be both a vendor or publisher and a promoter. The main thing to remember is that a publisher is the one that creates the products being sold. 1) In your account add 2 new products. Suppose they are Items 12 and 13. Now check your link as instructed. If you want to add the Alertpay payment option to your affiliate link – so that you can get $10 or $37 payments via Alertpay.N.B Alertpay PERSONAL PRO is the best & I recommend you to select this one while registering. Note: If you want to add the AlertPay payment option to your affiliate link you will need an AlertPay Business account. If you want to add the Paypal payment option to your affiliate link – so that you can get $10 or $37 payments via Paypal. Your Paypal account is the email address you use to login to Paypal & it is the one you will insert in the box & the type of your paypal account does not mean as it works with any type.